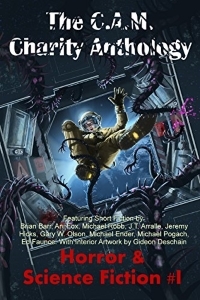 Jun 27, 2012Something You Should Know (a Brutal Light short story) now free for Kindle! May 25, 2012Joomla out, WordPress in–major site revamp this weekend! Mar 16, 2012Links… in… Spaaaaaaaaace! Feb 24, 2012Are You Linksperienced? Nov 22, 2011Get Yer Red Hot Links Here! Oct 21, 2011E-Books vs. P-Books… Is It All Over for Paper? Oct 10, 2011Back from ConClave! Oct 5, 2011Behold! 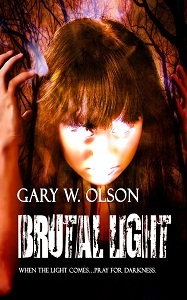 The cover art of Brutal Light! Sep 27, 2011Brutal Light trailer is GO! Jun 21, 201130 Days of Writing #29-30: Think About Writing? Tag Writer You Like? Jun 9, 201130 Days of Writing #28: Written a Character with Disabilities? Jun 2, 201130 Days of Writing #26-27: Art and Appearances? May 24, 201130 Days of Writing #25: Characters With Pets? May 11, 201130 Days of Writing #24: Willing to Kill Characters? Most Interesting Killing? May 2, 201130 Days of Writing #23: How Long to Complete a Story? Apr 26, 201130 Days of Writing #22: Never Written or Revealed Scene? Apr 15, 201130 Days of Writing #21: Writing Children? Apr 8, 201130 Days of Writing #20: Favorite Character Interactions? Apr 1, 201130 Days of Writing #19: Favorite Minor Character Shoving Into Spotlight? Mar 25, 201130 Days of Writing #18: Favorite Antagonist? Mar 21, 201130 Days of Writing #17: Favorite Protagonist? Mar 12, 201130 Days of Writing #16: Write Romantic Relationships? What Of The Goinking? Mar 7, 201130 Days of Writing #15: Writer You Admire? Feb 25, 201130 Days of Writing #14: Map Out Locations? Feb 21, 201130 Days of Writing #13: Favorite Culture to Write? Feb 12, 201130 Days of Writing #12: Best Job of Worldbuilding? Feb 4, 201130 Days of Writing #10-11: Weird Situations? Favorite / Least Favorite Characters? Jan 18, 201130 Days of Writing #9: How Do You Create Characters? Jan 14, 201130 Days of Writing #8: Favorite Genre to Write and/or Read? Dec 28, 201030 Days of Writing #7: Music While You Write? Dec 15, 201030 Days of Writing #6: Writing Where, When, and With What? Dec 8, 201030 Days of Writing #5: Youngest and Oldest Characters? Nov 29, 201030 Days of Writing #3-4: Names for characters and places? First story? Nov 22, 201030 Days of Writing #2: Character count and gender preference? Nov 15, 201030 Days of Writing #1: Favorite Writing Project / Universe?